Compare the prestigious Saatva mattress models side by side. The Saatva Company, one of the most successful online mattress brands on the market, makes one thing a priority—offering quality, durable products to its customers. Saatva has a bed for every sleeping style, body type and comfort preference. All three models are offered at varying firmness levels and materials. Saatva offers free delivery and in-home set up for all of its customers. 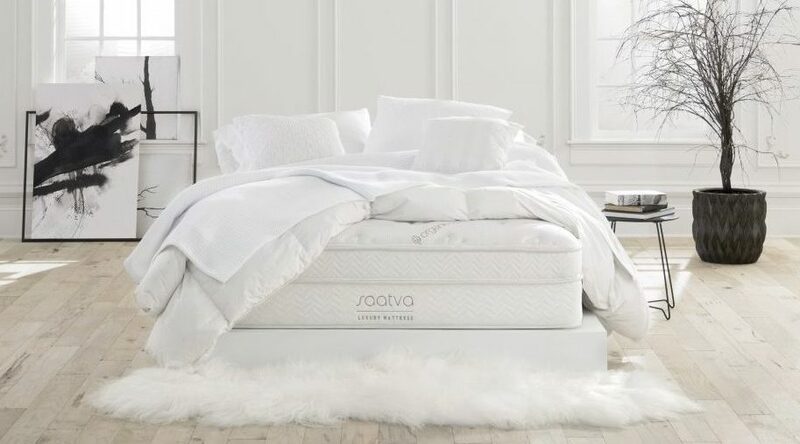 The Saatva Classic is the company’s original mattress model that comes with all the bells and whistles: it’s customizable, made with quality materials and it’s eco-friendly (although not 100% green). The Saatva mattress is known for its exceptional quality and lumbar support. Put another way, it’s the cream of the crop when it comes to online mattresses. The Saatva is a premium hybrid mattress made with memory foam, pocket coils, and a euro pillow-top. 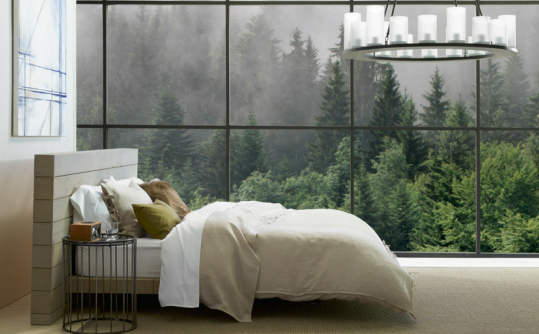 Unlike Loom & Leaf and ZenHaven, the Saatva mattress is the only model made with coils. This mattress is offered at three firmness levels—plush soft, luxury firm, and firm—and two thickness levels, 14.5’’ or 11.5.’’ The luxury firm is the most popular and accommodates all types of sleepers. The plush soft is most ideal for side sleepers, but offers the same great support as the other firmness levels. Loom & Leaf is Saatva’s luxury memory foam mattress model complete with three, breathable foam layers and a Euro pillow top. The Loom & Leaf is offered at two comfort levels—Relaxed Firm and Firm. Relaxed Firm is most comparable to a medium-firm feel. 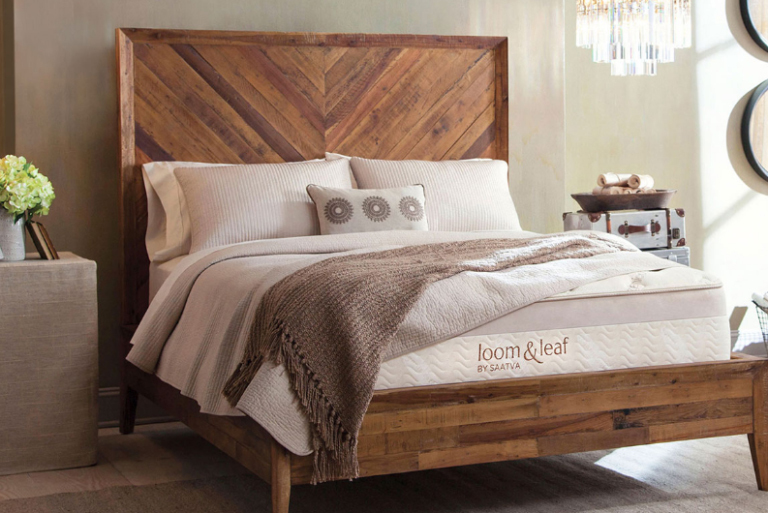 The Loom & Leaf is a durable bed that should last you years to come. ✅ People with allergies — it has an organic, antimicrobial cotton cover. The ZenHaven is a dual-sided, 100% latex foam mattress that sleeps cool and supportive. The ZenHaven is an eco-friendly mattress made entirely of natural, organic materials, including a wool fire retardant layer. A huge perk of the ZenHaven mattress beside the fact it’s all-natural and hypoallergenic is that it has two comfort levels—one side being Luxury Plush and the other side being Gentle Firm. The Luxury Plush side is most comparable to medium-firm, while the Gentle Firm side is about 20% firmer than the other. The ZenHaven is the priciest of the Saatva mattresses so be prepared to spend a little extra on this model. Take a closer look at how the Saatva, Loom & Leaf and ZenHaven measured up in the mattress lab.